Sweat is an abundant liquid around this neighborhood. TBI students and staff give out perhaps gallons of this stuff daily. On some Sundays we all go for a swim in lake Turkana at Eliye -a nice spot where a natural fresh water spring trickles into the saline jade sea. Last Sunday, after swimming in the lake and all shiny and clean, TBI students inexplicably and spontaneously engaged in a game of mud wrestling in the Turkwel river- a few hundred feet from the camp. Sweat and the very vital ability to cool off are key to our survival in this dry environment. A bit of play never hurts too. TBI students play in the mud after an afternoon of swimming in Lake Turkana. Did Turkana boy engage in similiar play? 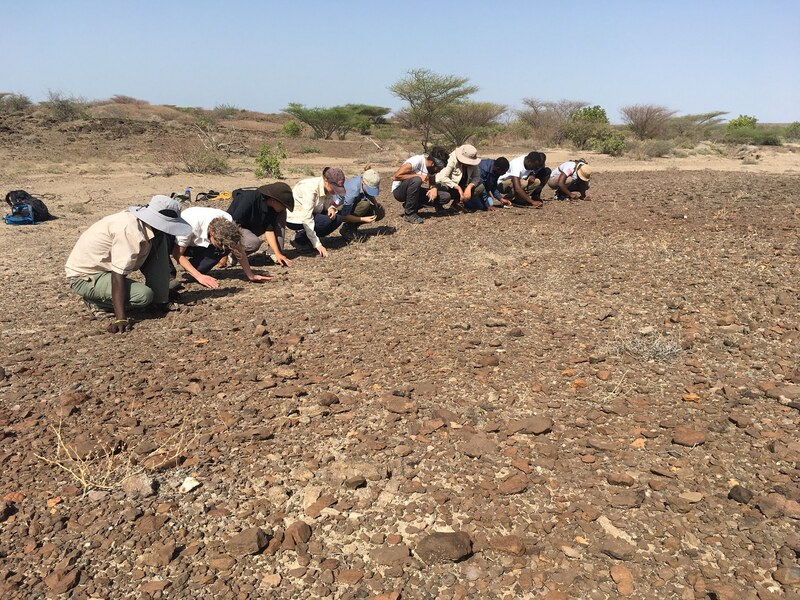 An early human ancestor found in west Turkana must, of necessity, have had the ability to sweat and stay cool 1.5 million years ago. His kind had abandoned the shade and safety of the trees for the big open grasslands of Turkana. His species is Homo ergaster, Turkana’s celebrity boy. 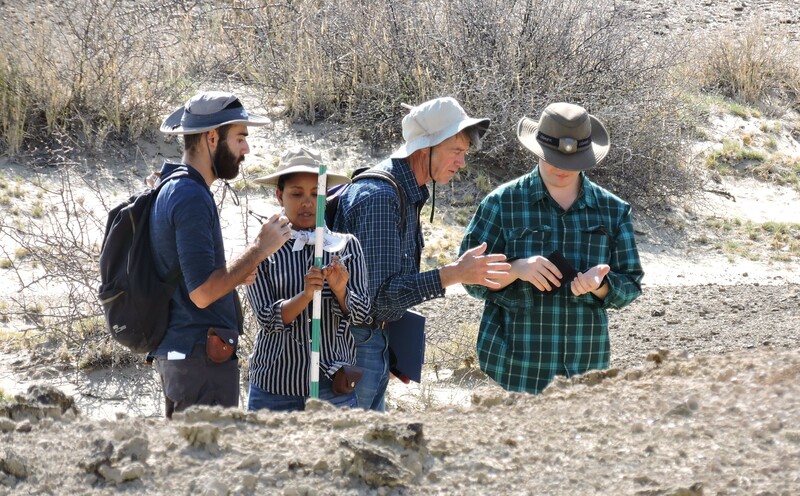 The remains of an adolescent boy living in Turkana 1.5 million years ago have provided a treasure trove of information on the early members of the genus Homo. How fast did they mature? Were their growth patterns more like those of modern humans or apes? How tall would they grow to be? Other important finds have come out of Turkana but none so game changing as this youngster who will never walk a red carpet, have swooning masses of girls for fans, or preen himself in front of a mirror thinking what a handsome specimen he was. His resting place resembles nothing like King Tut’s magnificent sarcophagus. Instead, his fossil remains, identified by an innocuous tag KNM-WT 15000, sit in a dark vault at the Nairobi museum. This unlikely celebrity has been measured, CT-scanned, discussed, argued over and made magazine covers since his discovery by Richard Leakey and Kamoya Kimeu in 1984. I am almost certain there was nothing in his life that gave away the fact that one day he would the most famous prehistoric ancestor to ever emerge from the badlands of Turkana. 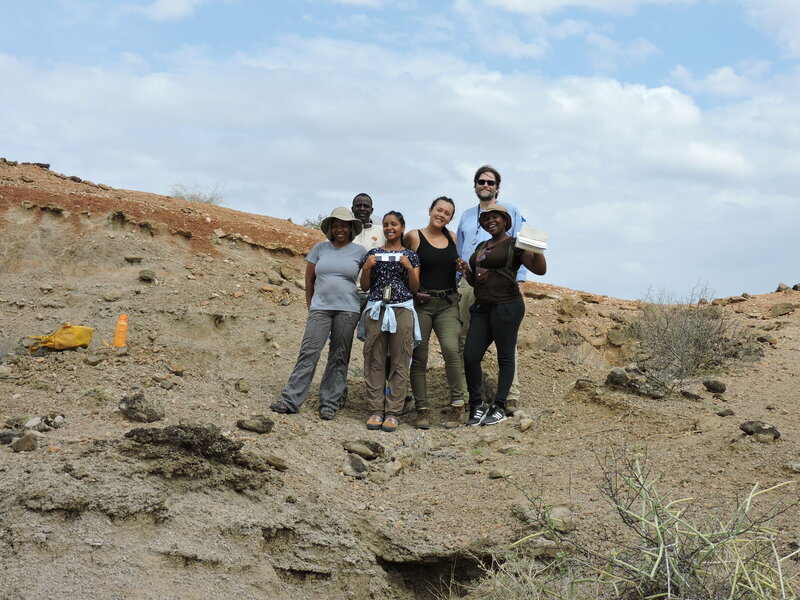 Besides all the detailed scientific descriptions are other layers to Turkana boy’s story. There is the larger picture of our journey as large brained bipedal apes and our links to the larger web of life. Then there is also the human side to paleontological research. The daily grind, the sun, finding good camping spots in the unforgiving heat. Then the hint of a tiny bone fragment just when you are about to move camp, a larger tantalizing fragment of a jaw that just happens to be under the only tree in the vicinity. 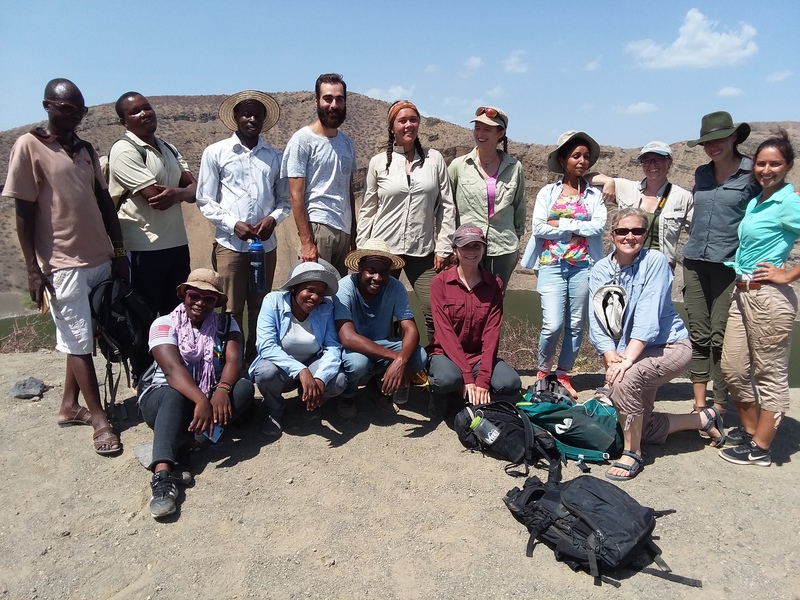 The inaugural TBI field school students are among the privileged minority that have the benefit of hearing first hand details from Richard Leakey about the discovery of Turkana Boy. 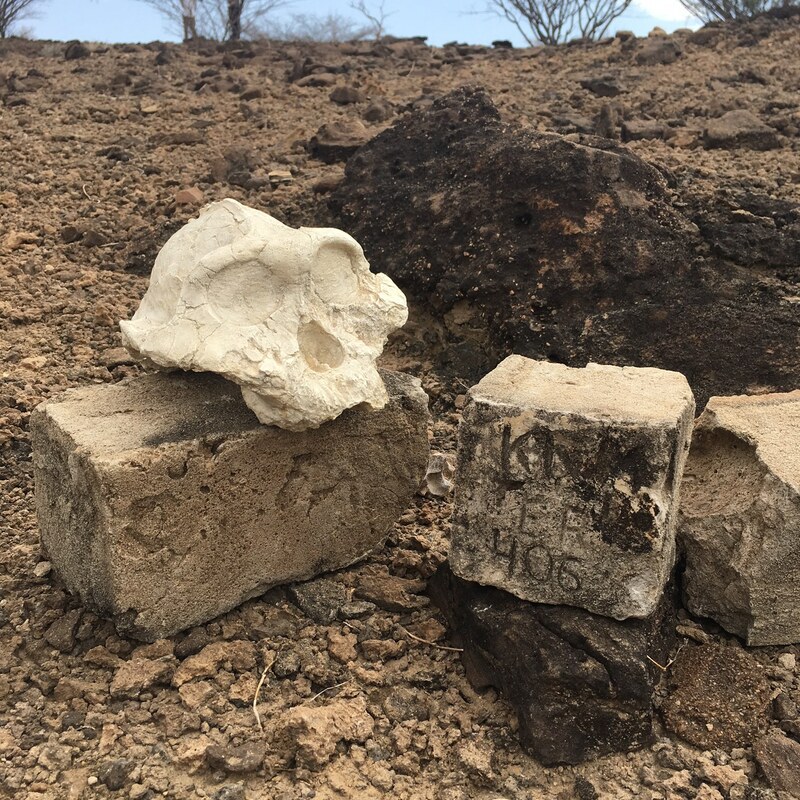 Events that started 1.5 million years ago and culminated in two people; a paleontologist and a fossil hunter, finding bits and pieces of an adolescent that once walked the Turkana landscape. How did they even know the little unidentifiable bit of ‘rock’ peeping out of the ground was a fossil? It sang at them.. yes, that’s a characteristic sound that a metal dental pick makes when it makes contact with fossil bone. Beat that King Tut.